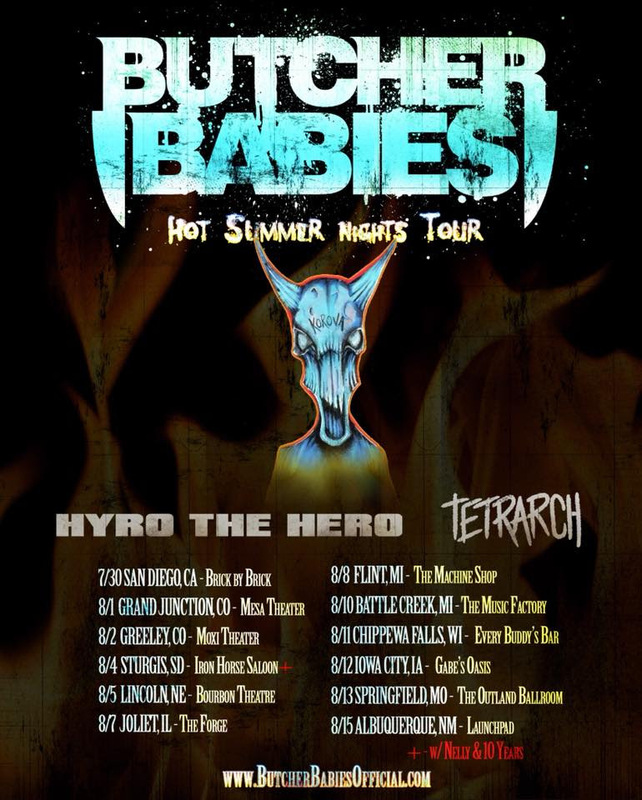 HYRO THE HERO is excited to share his unique blend of hip-hop, rap, punk and metal on his newly announced upcoming tour alongside heavy metal powerhouse Butcher Babies with additional support from metalcore outfit Tetrarch. The "Hot Summer Nights Tour" will kick off from the West Coast on July 30 is San Diego, CA and will stretch across the Midwest until August 15 where the last stop will be in Albuquerque, NM. 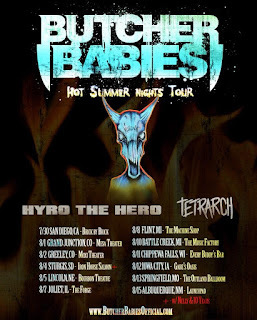 Check out all of the dates below.